As a diner I love the creamy and toothsome texture of risottos. And as a cook, I love the limitless creativity that can be applied to the making of them. A risotto is essentially a blank canvas on which to paint your favorite flavors, Italian-themed or otherwise, making this a great vehicle for fusion-style cooking — there are even dessert risottos out there. I've had some wonderful successes with risottos before, but this is my first Indian-style version. 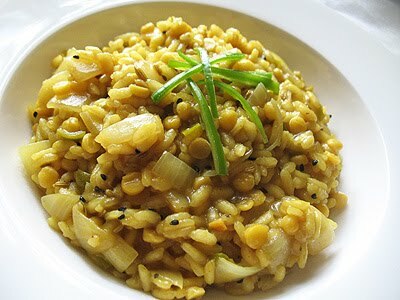 I used some of the classic tastes of Indian cooking in this risotto, cooking the rice in a hot tamarind vegetable stock and seasoning it with a favorite combination of spices and fried seeds, including the use of nigella and fennel seeds to give the risotto a lovely onion-and-anise perfume. A quarter part of channa dal or split yellow peas lends an earthiness that balances the various heat and fragrance of the seeds and spices as well as the sweetness of the rice, and makes this risotto essentially an unconventional kind of "khichri" or kitcheree — the traditional Indian rice and dal one-pot comfort food. The dal or split peas also provide a protein component to the dish, making this risotto kitchari an attractive option for a complete light and simple dinner if served with a side salad or vegetables. 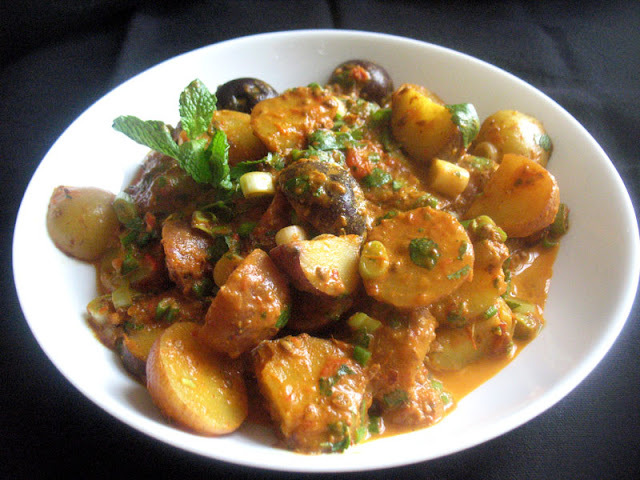 It's also a vegan-friendly meal if you use oil instead of ghee to fry the spices. Nigella seeds, also known as kalonji or black onion seeds, are easily found in any Indian grocer, as are channa dal, tamarind paste or dried tamarind pulp. 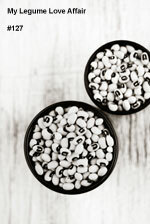 Soak the channa dal or split yellow peas in several inches of water for 20 to 30 minutes. Drain and rinse, then add to a small saucepan and cover with several inches of fresh water. Bring to a boil, reduce the heat to low, cover, and simmer for 30 to 40 minutes or until the dals or peas are tender but not falling apart. Drain and set aside. Meanwhile, soak the tamarind pulp or paste in 1 cup of hot water for 15 to 20 minutes. Drain the liquid into a small saucepan, squeezing as much liquid as possible out of the tamarind pulp. Add the vegetable stock to the saucepan and bring to a gentle simmer. In a medium saucepan, heat the ghee or oil over medium heat. When hot, toss in the nigella, fennel and cumin seeds, stir once, then add the onion. Cook for 2 to 3 minutes, stirring frequently, until the onion begins to turn translucent. Add the green chilies and cook for 1 minute. Turn down the heat to medium-low. Add the rice and brown sugar and stir gently to coat the grains with oil. Add a ladle of the hot tamarind and vegetable stock broth to the pan and cook until the liquid is absorbed, stirring all the while. Now stir in the cayenne and turmeric. Continue adding the hot broth to the rice one ladle at a time, stirring and waiting each time until the broth has been fully absorbed before adding the next. Continue this process until most of the stock has been used up. At this point taste the rice and check to see if it is cooked to your preferred texture — the risotto should be soft, creamy and cooked throughout while holding its shape, but you may not want to use all the stock if you prefer your risottos more on the al dente side. If necessary, add some water if you run out of stock and the risotto still requires a bit more cooking time. Before adding the last ladle of broth that you use, season with salt and stir in the reserved channa dal or split yellow peas. Add the final ladle and continue cooking as before. 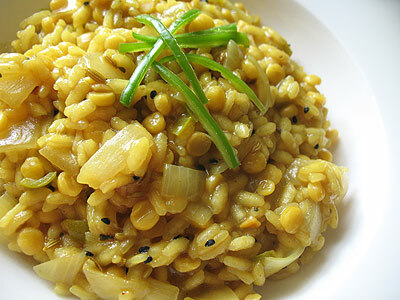 Remove from the heat as soon as the risotto is finished to your desired consistency and serve right away.